A new disease is sweeping the planet. Losian’s is similar to Alzheimer’s but faster in its progression and culmination. Dr. Gillian Ryan is working to find a cure because she’s already lost her husband of six years to the disease and her daughter is now showing symptoms. She loses hope when her funding is discontinued, and then Carson LeCroix comes back into her life. Fellow student and one-time lover, Carson is now involved with a top secret program at NASA. There’s a problem with the inhabitants of the space station and the symptoms are similar to the disease that took Gillian’s husband. His offer is for Gillian to come to the station, study those afflicted, and see what she can do. In return, she’ll get unlimited funding for her work. Gillian is by turns, suspicious, eager, and apprehensive. Eventually, she agrees, and with Birk Lindqvist, her postgraduate assistant, leaves Earth. When she arrives at her destination, things are definitely not what as Carson described. Carson has lied, and it’s now too late to back out. Gillian finds herself not on the space station but on a ship, on the way to an orbit around Mars. With the rest of the crew in stasis, she’s alone on this part of the journey, using the time to work on her findings while fighting a secret addiction, with no way to feed it. The things she sees and hears in the isolation of a ship where she’s the only human conscious, shouldn’t really be there. When they arrive at their destination, she’ll discover she’s only had a glimpse of the tip of the iceberg, and what lies beneath the surface is very deadly indeed. This story starts at the end, with everything said and done, interspersing news bulletins and NASA investigations with the actual events, juxtaposing what really happened with the official story. It seems to be a popular plotline in this century to have anything government-associated be the titular “bad guy,” and this story is no exception. Though most of the characters are earnest in their endeavors and Carson LeCroix himself eventually proves his worth and dedication, he, as well as those in positions of authority have their own agenda other than that they present to Gillian, only revealing it to her when it’s too late. The isolation of space is pointed out in no uncertain terms as Gillian sees and hears evidence of someone or something on the ship when she’s certain she’s the only one conscious, driving home the notion of there being no way anyone could enter from outside without her knowing and also there’s no way she can escape or contact anyone. Though there’s already a certain level of tension in the fact that Gillian is working against an unknown deadline to find a cure because of the disease’s erratic progression in each patient, this slowly builds once she’s on her way to the station. From the moment she arrives, it, like the disease she’s fighting, builds with unpredictable speed toward a climax and a revelation as unexpected as it is deadly. 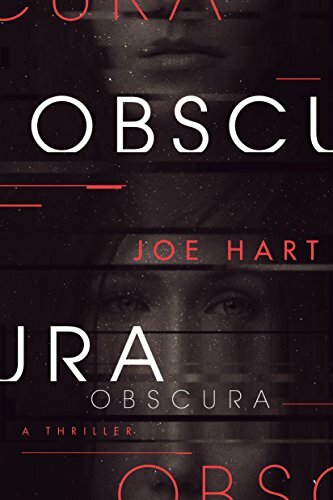 For the reader who likes hard science fiction with some mystery and suspense thrown in, Obscura should hit the spot. It’s not merely sci-fi, but a thriller wrapped in the deadly solitude of space with a determined heroine who refuses to give up.